Thanks SO MUCH Megan for writing about what I haven’t experienced…excursions (both with the cruise & independently) from a ship. Three times, three totally different experiences that ended with Meg and her fiance deciding to honeymoon in Belize. 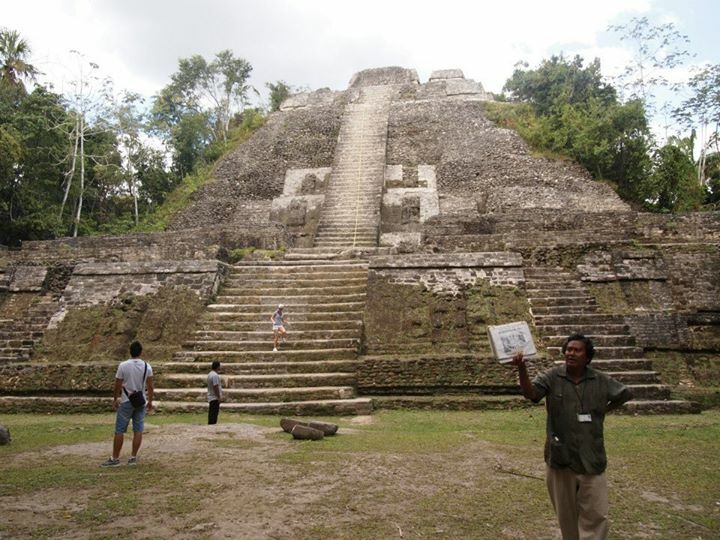 Or: Planning ahead- what to do with 8-10 hours in Belize? As I mentioned in my previous post, before my honeymoon I visited Belize 3 times on a cruise ship. This was never part of the plan; actually, taking 3 cruises within 10 years was unlikely, much less visiting the same port each time. As it turned out, each of my 3 visits showed me something Belize did well, and gave me enough of a taste for the country that my husband and I decided to return for 10 nights. So what were these great experiences? Disappointed, I searched for a plan B that still included Mayan ruins. 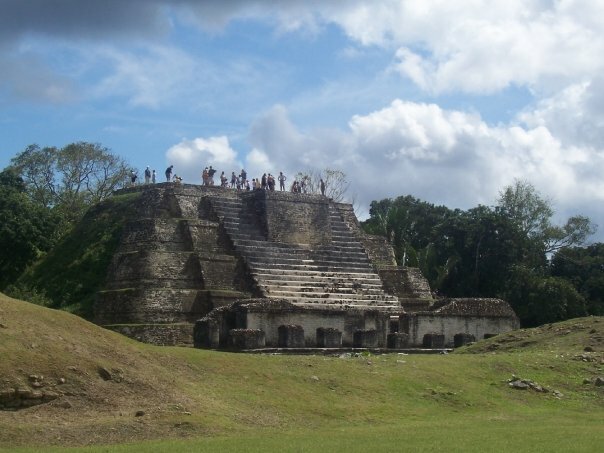 I found that for the same price as the cruiseline-sponsored trip to Lamanai, we could visit both Altun Ha and the Belize Zoo with a much smaller group. We were sold. We booked through an independent operator who would have a certified guide meet us inside the port shopping area, guiding us and one other couple through both destinations. 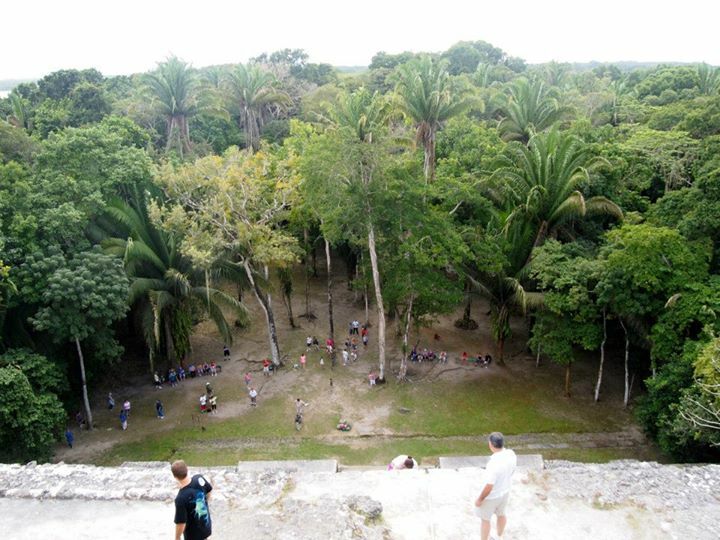 As we started out, I was most excited to see Altun Ha- but as an animal lover, I considered the Belize Zoo a great bonus. We tendered to shore, met our guide and hopped in a van for the ride to the zoo. What I’d originally thought of as a throw-in turned out to be the highlight of the day! First thing in the morning we were about the only visitors in the entire zoo, and our guide clearly knew the staff and animals. 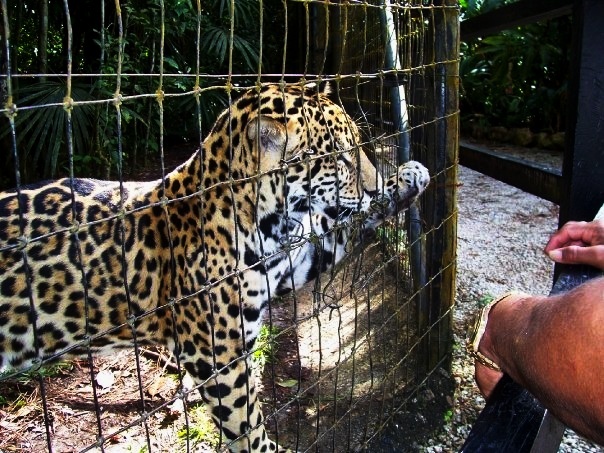 As a result, we had much closer interaction with the animals that we could have dreamed of in the States- including a chance to pet Junior the jaguar, just a cub at the time. We got to meet tons of indigenous animals, and on the way out, I even took a great photo for my Facebook profile pic. Altun Ha turned out to be a great introduction to Mayan ruins, although I wouldn’t necessarily recommend the small site to someone who had been to several larger ones. 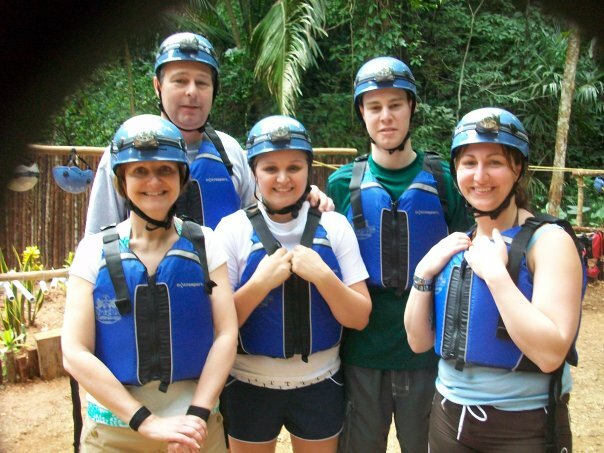 It’s a great option for families with kids or those who, while ambulatory, might not be up to a day trekking through the jungle to different temple sites. The second time I set foot in Belize was part of a family cruise with my parents, brother,his then-girlfriend, and a friend of mine. The original thought was that we’d split up for all of our shore excursions and then meet up back on the ship for dinner. In Belize it turned out that we all wanted to do the same thing. 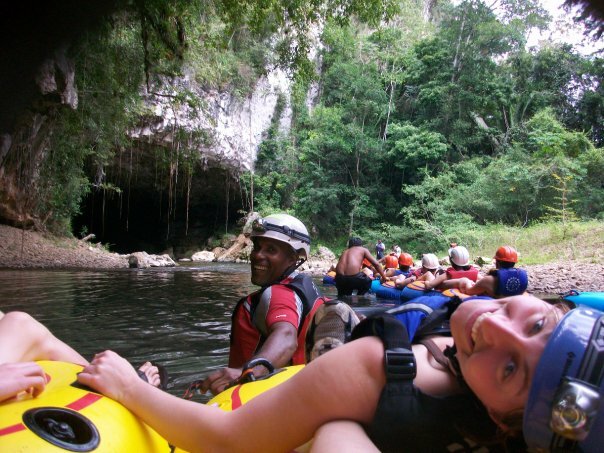 Since we’d done ruins the day before and planned water activities the following day, we opted for some physical adventure in Belize- ziplining through the jungle treetops and then floating through the caves below. Once again, I booked through an independent vendor, although this time we met outside the tourism village at a nearby hotel. While many cruise ship visitors are nervous about going past “the gates” without a guide, we were fine finding the Radisson a few blocks away. A firm “no, thank you” to those who offered us souvenirs or a tour worked fine. Our group climbed onto a bus with several other tourists, and headed off to Jaguar Paw Resort for both adventures. As an acrophobe, I was nervous about the ziplining, but I shouldn’t have been. Once I flew across the first line, I couldn’t get enough of the feeling of flying! Back on solid ground, we had lunch and took a short hike through the jungle to our next endeavor. Floating through the cool water was oddly both relaxing and exhilarating, as we effortlessly experienced the pure darkness of Xibalba. This sort of soft-adventure trip would be accessible for most people. The ziplining itself is very easy, and felt safe with the guides beside us. The cave tubing is a little bit more limiting- those going should be comfortable in water (although everyone wears life vests). I wouldn’t bring little children on this one (maybe under 5? ), even if you could find a vendor who would allow it. 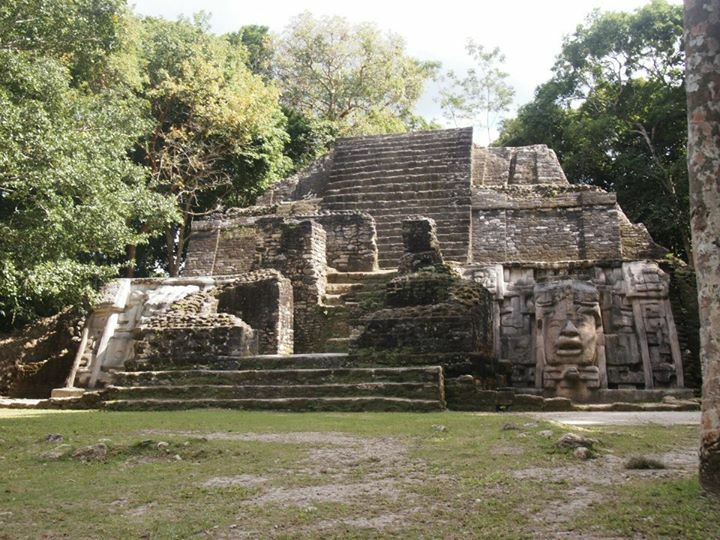 A third visit- I finally made it to Lamanai! When it came down to finding a specific trip that fit our budget, schedule and interests, the best option once again featured Belize. I quickly realized this could be a good thing. I could show my husband why I was so sold on a longer trip, and we could so something that would be more difficult based in either Cayo or the Cayes. 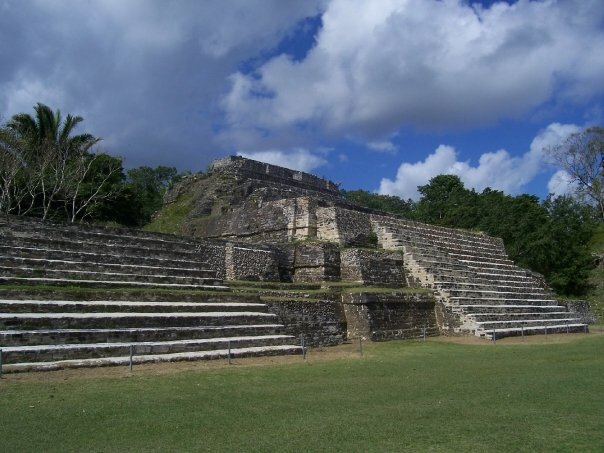 Visiting Lamanai from Belize City would shave a couple hours off the long trip from San Pedro! 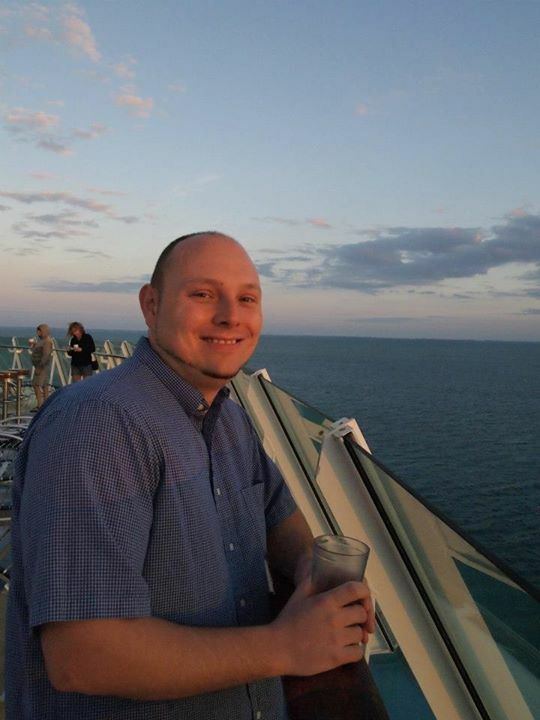 For this trip, we did book through the cruiseline. 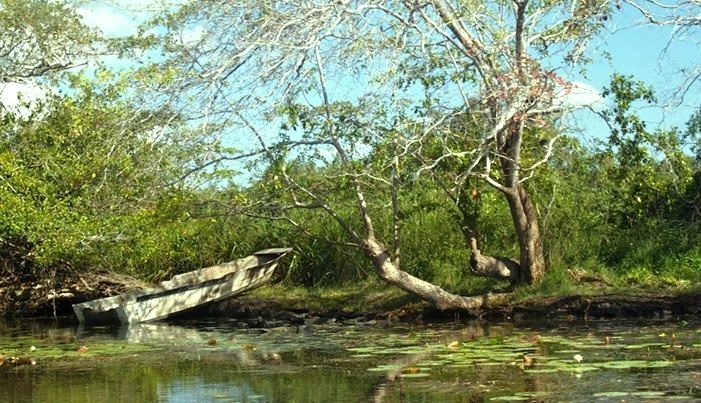 Getting to Lamanai from the ship would involve a tender boat, an hour-long bus ride, an hour-long boat ride up a river, and then the whole process again in reverse. What we’d lose in being part of a big group was more than worth the peace of mind that came from knowing we wouldn’t be left to find- and pay for- our own way up to Cozumel the next day. Lamanai was worth the wait and the travel time to get there. 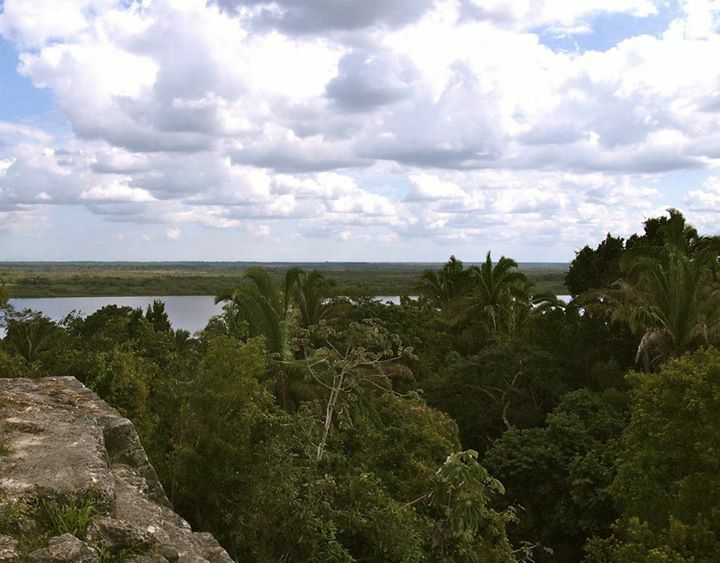 As the longest-occupied Mayan site in Belize, it’s huge and diverse; there is so much left to excavate. Not to mention, it features a huge pyramid. 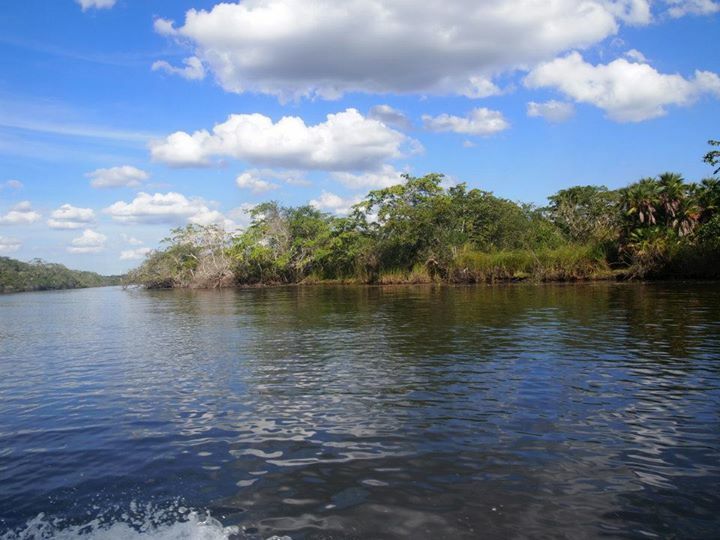 On the way back down the river, we reaffirmed our decision to book with the cruiseline for this long, complicated trip; our boat’s motor died about a third of the way back, out of cell phone range. Unconcerned with how we would make it back to the ship, I took the opportunity to take photos. Eventually we made it back- about an hour late- and my husband immediately confirmed my suggestion that we should visit Belize on our then-future honeymoon! All things considered, a land trip to Belize gives the chance to see much more of the country than any cruise stop- but a day in port can definitely whet your appetite for that follow-up trip, as long as you make the effort to get beyond the tourism village. And heck- where else but a cruise does one get to take a photo with a half-naked imitation Village Person? And back to me…if ANYONE has a good (or bad) experience cruising to Belize and would like to write about it with pictures, please send me an email. Thanks again Meg…you rock. Great article! We loved Belize, and felt like one quick day just wasn’t enough to explore. We definitely plan to head back at some point. 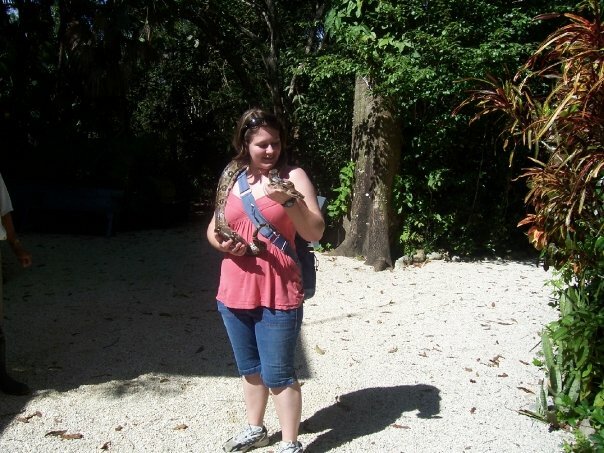 I have been to Belize many times. I enjoy your blog.